The Wild and Wacky World of WAHMs! This weekend was a stressful to say the least. I wasn’t feeling well last Friday, which was the reason why I wasn’t able to do my regular job post. And my daughter was being a little difficult. It’s not that she was being naughty. She was just being her same old active, cheerful self and I simply didn’t have the energy to keep up with her. I know a lot of parents that feel the way I do. Parenting is a marathon. The daily grind does take its toll on you. And no matter how nice or even tempered your child normally is, there will be days that you just want to take a break from it all, have a drink, vent, and go somewhere you’re the one babied for a change. I wanted to wallow and vent over the weekend, but a barrage of news from friends and acquaintances over Facebook made me realize I had more to be grateful for than anything. I wanted to complain about how tiring it is to have a child. It sounded selfish compared to couples I know who wanted to have a child, who would have made wonderful parents but couldn’t. And I know they would give anything to feel the way I’m feeling right now and for that I’m grateful. I wanted to complain about how my child would wake me up so early on the weekends. 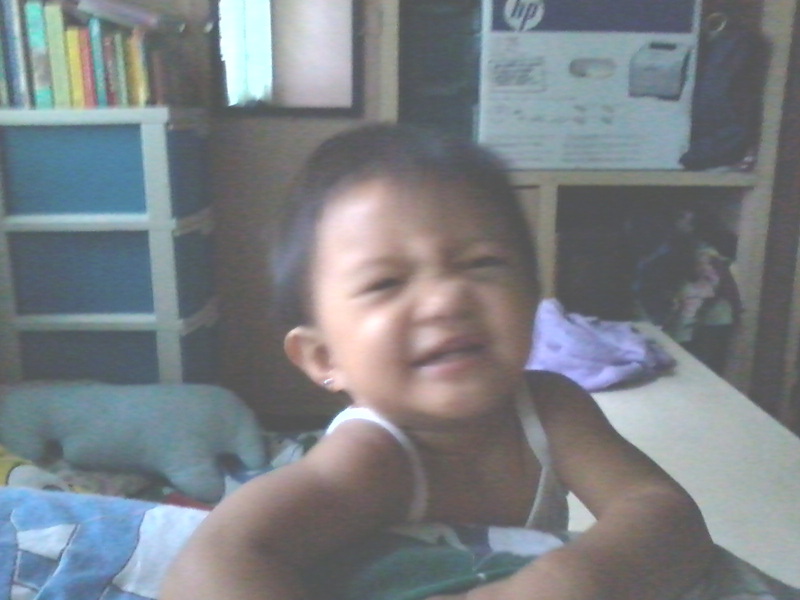 Hearing “Wake up Mama! Wakey, wakey eggs and backey” every few seconds stops being cute and starts to become annoying when you don’t get enough sleep. But then I heard of friends who just lost their child. I know if I was in their situation I would have given anything just to have my daughter wake me up every morning and for that I am grateful. 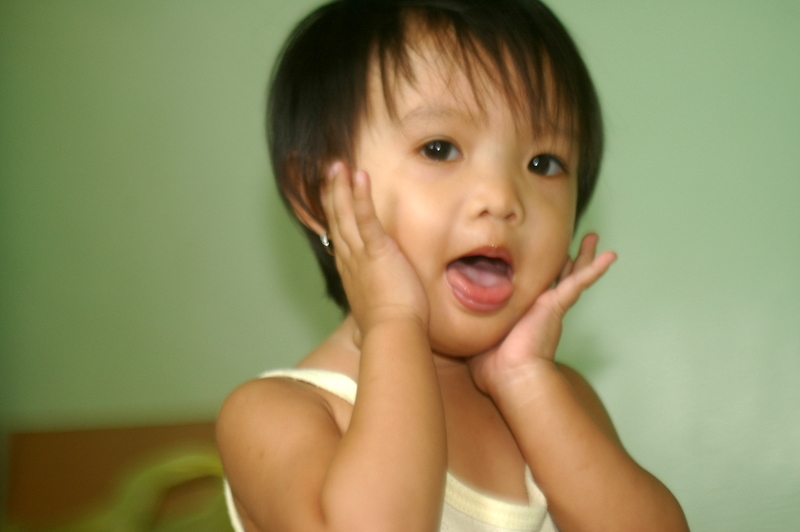 I wanted to complain about my daughter’s incessant chatter and her seemingly never ending need for hugs and kisses. Then I found out from some parents how painful it can be when your child refuses to run into your arms, when your child can’t return your affection either through words or actions. I have a child who can’t stop hugging me and always wants to talk to me and for that I am grateful. She’s a handful and she knows it. Lastly, I wanted to complain about my daughter’s boundless energy. She’s always ready to run and jump and I simply can’t keep up with her anymore. The I realized there are parents out there who would give anything to see their child stand up and play; how it pains them that their child can’t enjoy what most children take for granted. I have a child who is always ready to play and is living her life to the fullest, for that I am grateful. Yes, I was exhausted over the weekend but I was able to salvage it. My husband, daughter and I focused on having a relaxing time. We quietly played paper dolls, bonded over ice cream, Phineas and Ferb, and Dr. Who. We had food delivered and postponed chores for Monday. We had a good weekend and for that I am grateful. Categories: Life as a Mom, Wailings | Tags: Child, Facebook, Family, Friday, Home, motherhood, Parent, Phineas, Phineas & Ferb | Permalink. 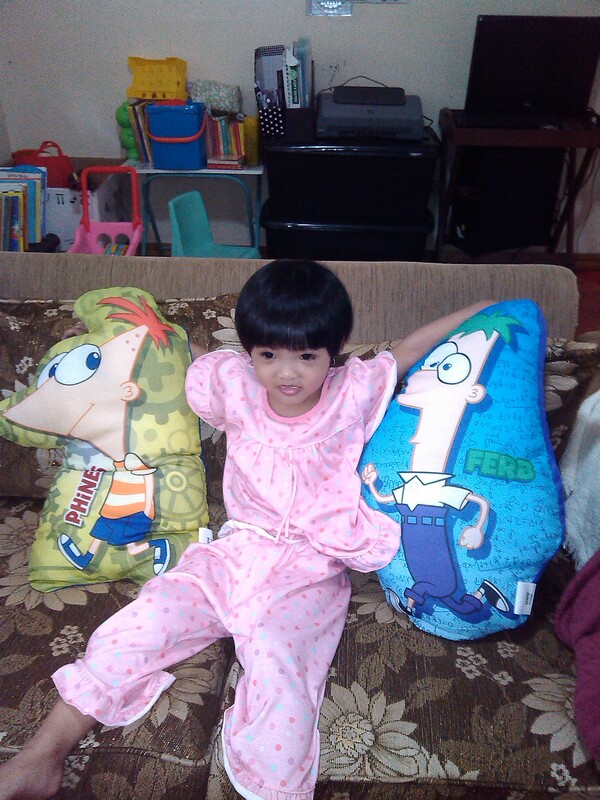 I’m a BIG fan of Phineas and Ferb, so is my husband and daughter. We’re such big fans we joined the P&F forums and we know enough P&F trivia to qualify as P&F geeks (newbie geeks but geeks nevertheless). What’s not to love about the show? It’s funny, witty and downright adorable. And as a mother, I like the fact that the show provides a lot of lessons that can help my daughter go through life. Here are 10 lessons I hope my child learns from Phineas and Ferb. Nothing is impossible. They’ve done everything possible and a few impossible things. Like Phineas and Ferb, I want my daughter to see the world as a giant playground of limitless possibilities. Science is awesome. Most episodes of Phineas and Ferb use science to make amazing things. The sad thing though is that most students are afraid of science. I want my daughter to see how science can make your day-to-day amazing (or at the very least, interesting and easier). Awesome discoveries and inventions are meant to be shared. Notice how Phineas and Ferb immediately share their inventions and discoveries to the neighborhood kids? They know wonderful things are meant to be shared, not hoarded and kept. Boy and girls are equally awesome. Phineas and Ferb are fun to watch but Isabella and the Fireside girls are just as amazing. They can play just as hard as the boys, they’re respected for it, and they’re still girly and cute. Stereotypes are meant to be broken. None of the characters in that show are exactly what they seem. Buford, the bully, knows Latin and French. Linda Flynn-Fletcher used to be a pop star. Baljeet, the nerd, can rock as hard as the best of them. Perry is a secret agent! They’re not defined by “labels” and that something I want my daughter to keep in mind as she establishes her own identity. Pets are part of the family. We don’t have pets at home yet because my daughter is afraid of animals. But I hope when the time comes when she wants to have a pet, she’ll treat that pet as part of the family, someone she can love and care for, and not a toy to be disposed of once she gets bored with it. There’s always something good in every one of us. Doofenshmirtz is more than just an evil scientist. He’s also a loving dad who would do anything for his daughter, Vanessa. He also cares for Perry, his nemesis, in his own way. That’s because no one is completely evil. There’s always something good inside of all of us, the trick is finding it. Seize the day. Summer doesn’t last forever and life is short. We should all do what we need and want to do now before it’s too late. Man proposes, God disposes. In P&F, God literally disposes of their projects through unlikely sets of circumstances. We can plan and plot all we want but we always have to remember that we’re all working according to God’s plan. It’s not in God’s plan for Phineas and Ferb to be busted and they’ll probably never be busted no matter what Candace does. You’re never too young or too old to do something awesome. The kids always do amazing things but the adults also have a few surprises up their sleeves. Ferb’s Grandpa Reginald has a blog, rides a skateboard, and jumps over gorges using a motorcycle. Phineas’ Grandma Betty Jo used to be in the roller derby and is still a mean skater. When I reach their age, I want to be just as active and daring. 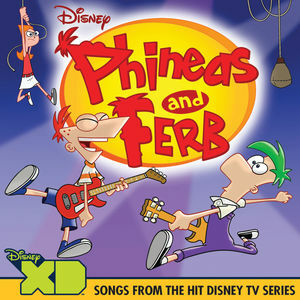 Categories: Cool, fun stuff, Humor, My Christian Faith, Wailings | Tags: Ferb, God, Heinz Doofenshmirtz, List of Phineas and Ferb characters, Perry, Perry the Platypus, Phineas, Phineas & Ferb, phineas and ferb | Permalink.